Our aluminum pumps deliver consistently high fluid pressure under all conditions. Your car’s performance in the corners can make or break the race. 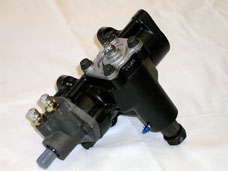 That’s why we’ve developed a superior line of pumps to keep the fluid pressure high under any racing condition. 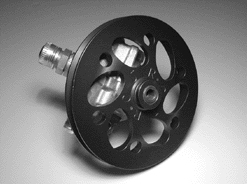 Based on the reliable Saginaw steel pump, we engineer ours to deliver the rock-solid feel you need on the track. Because we use the Saginaw design and precision machine our pumps from aluminum, you get two big benefits: First, our pumps bolt directly to conventional mountings using standard hookups. Second, they’re almost 3 pounds lighter than comparable steel pumps. But the quality of our pumps doesn’t stop there. 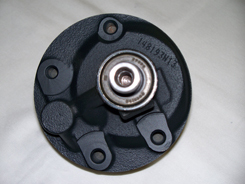 We carefully valve each pump to meet the specific needs of you, the driver. And to give you the best in customized performance, we’ve developed two pumps models, the Short Track and the Speedway.